You’ve found the right partner, now it’s time for you to find the right dress. For anyone who has been through the process of choosing and buying a wedding dress, we know this is easier said than done. Choosing the perfect wedding dress that exemplifies your personal style and boosts your confidence, is a personal decision that generally does not come easy. There are many factors for you to consider when shopping for a dress for your big day: including fit, style, designer, price, functionality and more. This major decision is oftentimes made much easier by first choosing from the right bridal shops in Miami that will help you narrow down your choices for the ultimate look. 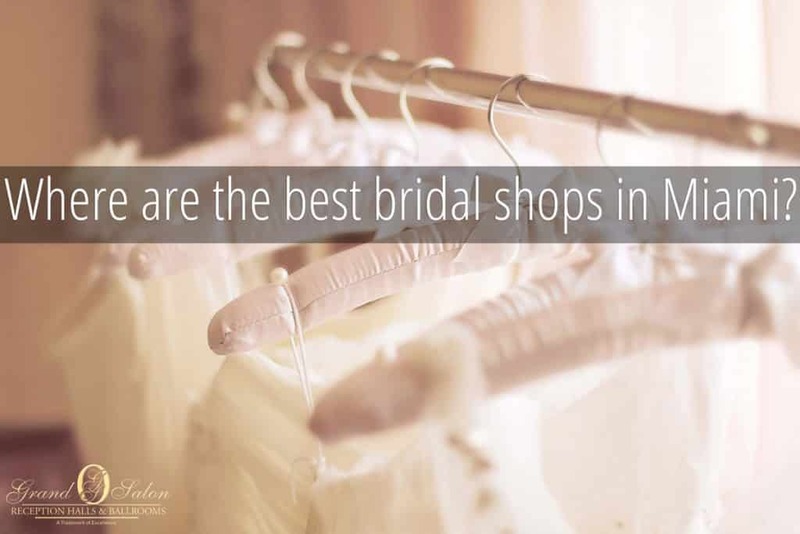 There are tons of great bridal shops in Miami that feature knowledgeable and attentive staff. Pat’s Bridals is the only full-service bridal store located in South Miami and has been providing brides and bridesmaids the ultimate wedding dress shopping experience since opening its doors to the public in 1977. Located in the heart of the renowned bridal district in the Miracle Mile, Merlili is unlike any other bridal salon and is home to the ultimate collection of bridal gowns, accessories, jewelry, and wedding party dresses to give you the ultimate look on your special day. After nearly 35 years in business, Coral Gables Bridals continues to act as a pioneer bridal store. And, despite the fact that Coral Gables have moved off Miracle Mile, they are still well-known for their beautiful collections of gowns from the U.S. and abroad. Chernaya Bridal House, the only bridal retailer located in Miami’s Design District, accommodates the most fashion-forward and discerning brides in South Florida by offering the newest dresses from designers who are setting the standard in the bridal industry. Ever After, a clean and modern bridal grotto, garnished with contemporary touches and the experience of old world couture, has bourgeoned into a pioneer in the bridal industry since opening their doors in Coconut Grove (and not on Miracle Mile) 2002. Bellissima Bridal Designs boasts over 60 years of bridal expertise as a full-service bridal salon and is located on the beautiful Miracle Mile. Case in point, Bellissima Bridal offers a special wedding day valet service to assist the bride on their big day with everything from getting the dress on to doing last minute hair touches and more! Leggenda Bridal has been dressing the most beautiful brides from Florida, Latin America, the Caribbean, and all over the world for nearly 25 years with their massive selection of designer wedding dresses at affordable prices. If you are on the hunt for a designer gown, Couture Bridal Miami is perfect for you. J. Del Olmo Bridal Gallery is owned by a father and daughter team and is located right on Miracle Mile. 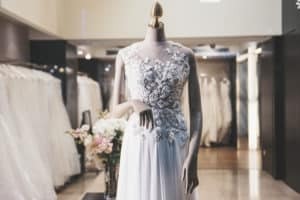 For almost ten years now, this unique boutique has been a top destination for brides-to-be in the area, and also offers dresses and accessories for special occasions, such as prom and quinceaneras. Chic Parisien is the oldest bridal shop in Miami and has been dressing brides since 1969. And, although they are no longer operating from the original Miracle Mile location, they are still located in the heart of Coral Gables. Are you in the process of planning for an upcoming wedding in Miami? Then you should celebrate your wedding at Grand Salon Reception Hall. We’d love to help you celebrate this amazing milestone event in one of the grandest banquet halls in Miami – we are located in the heart of Kendall. We can comfortably accommodate a reception of up to 200 guests with plenty of space for dancing and mingling. Call Grand Salon Reception Halls & Ballrooms today on (888) 828-3266 to schedule a visit in one of the biggest and best reception & banquet halls in Miami for a complete list of package details and prices.